Guys, are you looking for one best vape starter kit? 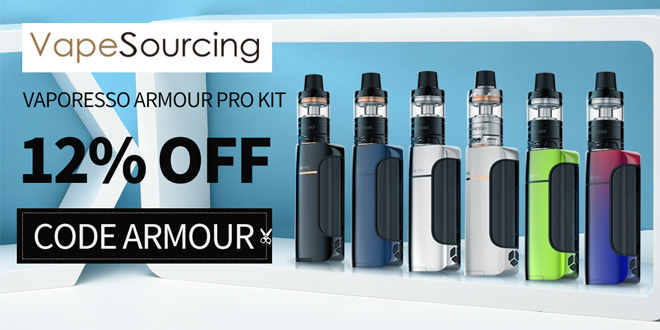 Here is one great deal on Vaporesso Armour Pro Kit from Vapesourcing online vape store. You can enjoy the discount for 12% off if you use the coupon code: ARMOUR. And the valid time is just only for two weeks.